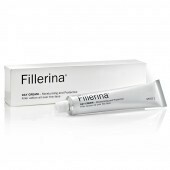 Fillerina Night Cream is a dermo-cosmetic daily filler treatment to be applied all over the face. 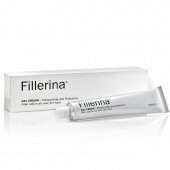 It is a moisturizing cream that can be used alone or together with other Fillerina treatments. Apply in the evening on a cleansed face. 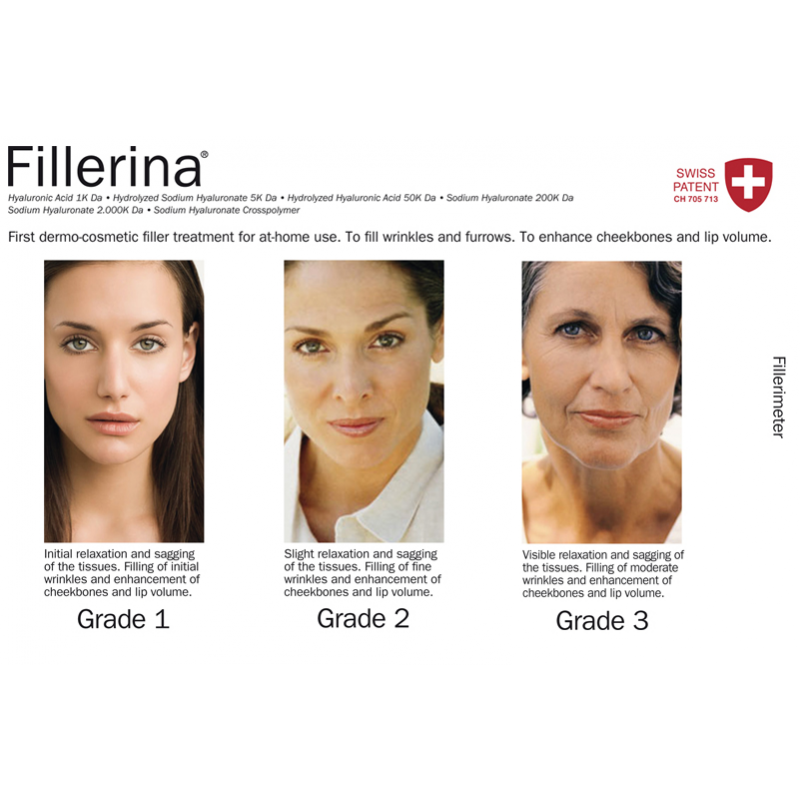 It is available in three different dosages, corresponding to different types of problem. Apply every morning to a cleansed face and neck. Aqua, Dimethicone, Diisopropyl Dimer Dilinoleate, Hydrogenated Polydecene, Isostearyl Isostearate, Triticum Vulgare Germ Oil, Butyrospermum Parkii Butter, Glycerin, Betaine, Cetearyl Alcohol, Glyceryl Stearate, Sodium Lauroyl Glutamate, Stearic Acid, Phenoxyethanol, Acrylates/C10-30 Alkyl Acrylate Crosspolymer, Prunus Amygdalus Dulcis Oil, Rosa Moschata Seed Oil, Tocopheryl Acetate, Xanthan Gum, Parfum, Diazolidinyl Urea, Sodium Hyaluronate, Hydrolyzed Glycosaminoglycans, Triethanolamine, Methylparaben, Ethylparaben, Disodium EDTA, Potassium Chloride, Pseudoalteromonas Ferment Extract, Limonene, Cyathea Cumingii Leaf Extract, Linalool, Butylene Glycol, Sodium Hyaluronate Crosspolymer, Hexyl Cinnamal, Retinyl Palmitate, Hydrolyzed Hyaluronic Acid, Butylphenyl Methylpropional, Hyaluronic Acid, Geraniol, Citronellol, Hydroxypropyl Cyclodextrin, Coumarin, Hydrolyzed Sodium Hyaluronate, Citral, Caprylyl Glycol, Arginine, Pentylene Glycol, Salicylic Acid, Sodium Hydroxide, Ethylhexylglycerin, Acetyl Hexapeptide-30, Palmitoyl Tripeptide-38, Acetyl Hexapeptide-37.